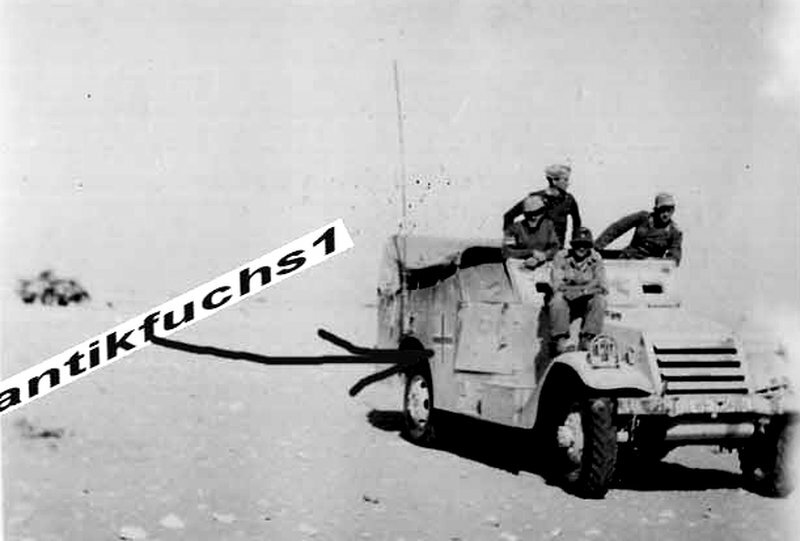 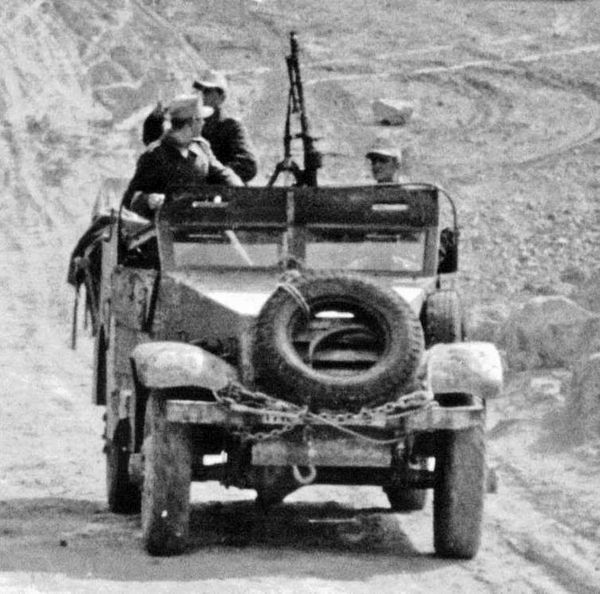 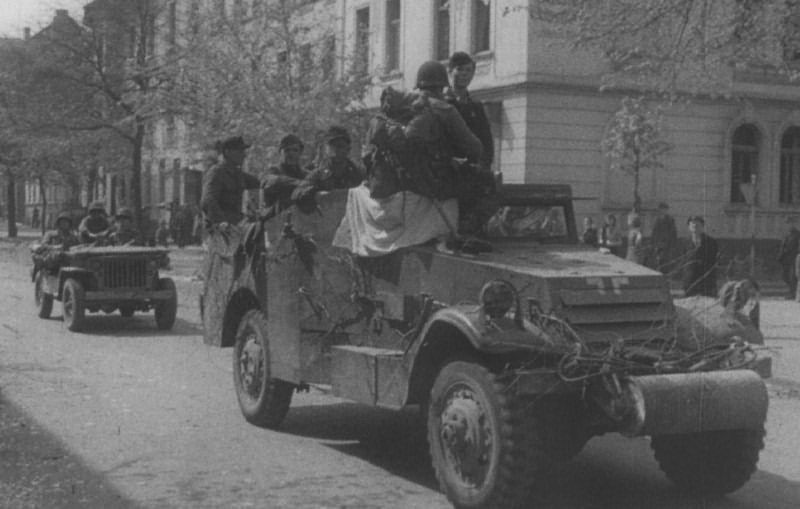 Germans captured M3 Scout Car. 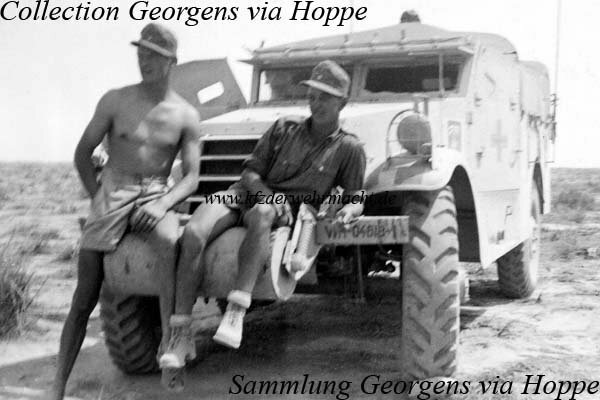 North Afrika. 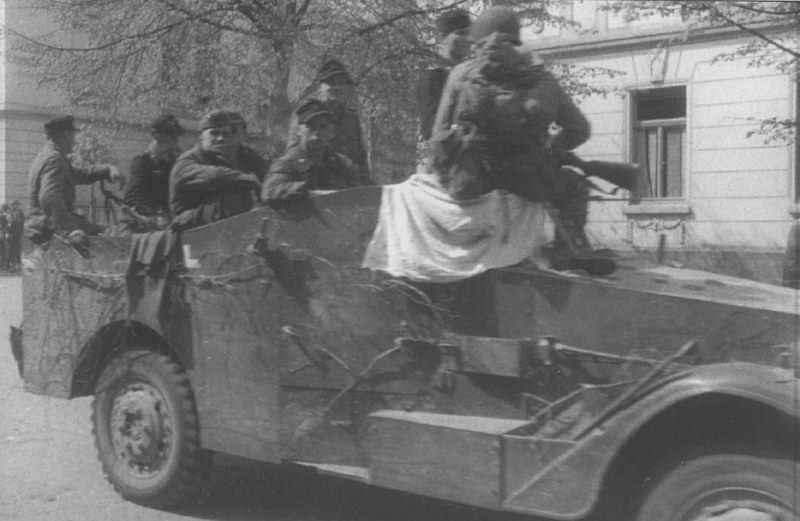 1943, captured M3 Scout car from unknow Stug Unit. 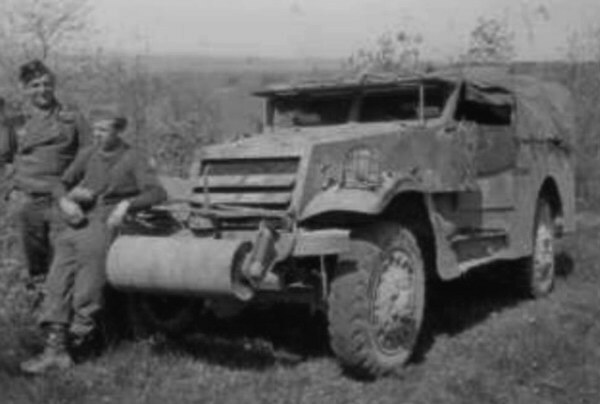 Note a german cross on the radiator armor. 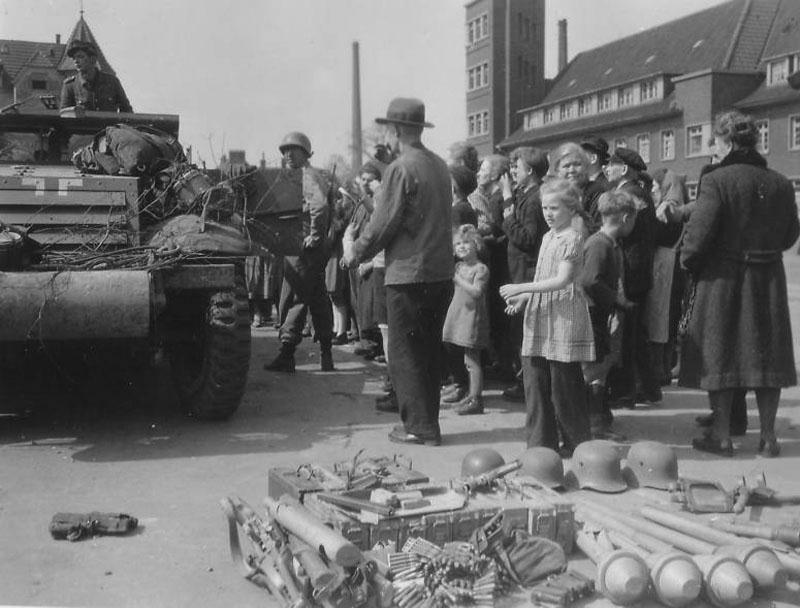 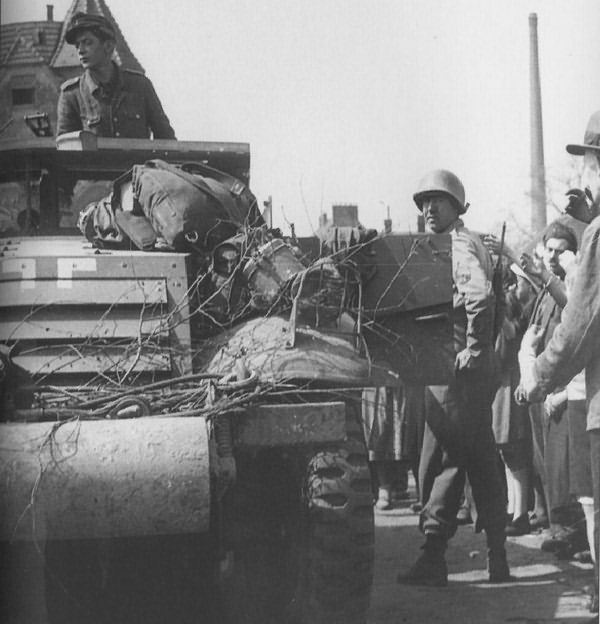 Iserlohn, 16 april 1945. 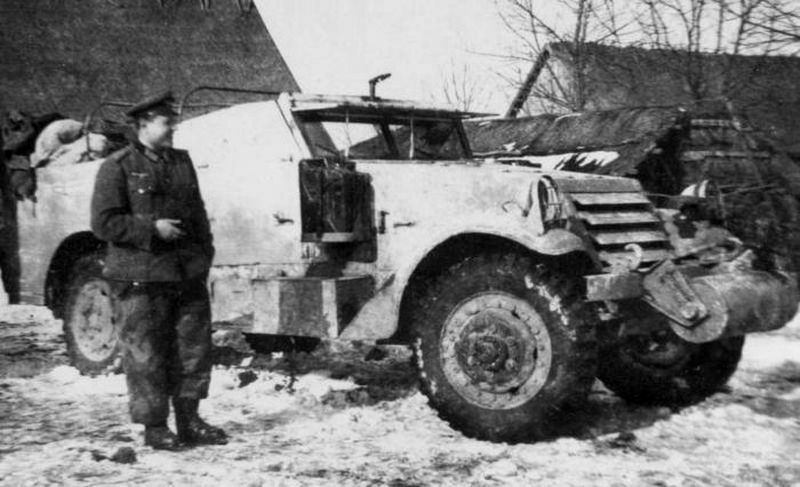 The remnants of 1./s.Pz.Jg.Abt 512 surrender to US 99th Infantry Division with 3 Jagdtigers, 1 bergepanther G, 5 sdkfz 251, one sdkfz 250 and a M3A1 scout car.